If you are a business user in South-East England, Drift Bridge Group in Croydon is certainly worthy of your consideration. 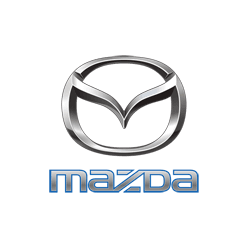 Our Mazda Fleet Sales showroom is the latest addition to a portfolio of dealerships that also include Audi, Honda and Volkswagen. With more than 80 years of experience in the automotive trade, Drift Bridge Group is well placed to answer every type of business question. Not only do we supply a fine range of hatchbacks, estates, SUVs and convertibles, we possess the expertise to ensure that you secure absolute value for money for your business. Whether you are a one-person enterprise or the fleet manager for a vast organisation, we can provide you with your ideal business package. We are open seven days a week, making it easier for you to find time in your busy schedule to sit down and talk with one of our fleet advisers. You can find us at 8 Imperial Way, Croydon, Surrey, CR0 4RR, less than eight miles from the M23 intersection of the M25. We are situated adjacent to the A23 and a short distance south of the A232, two major thoroughfares. We are also accessible by rail from a number of local stations, with Waddon, to the north, being the closest. Croydon is well-served by bus links too and there is also Gatwick Airport, which is just a short road or rail journey away.